The combination of Whipped Cream, Fern green, Terracotta brownish-red and Malibu blue invoke the balmy feeling of a summer afternoon. 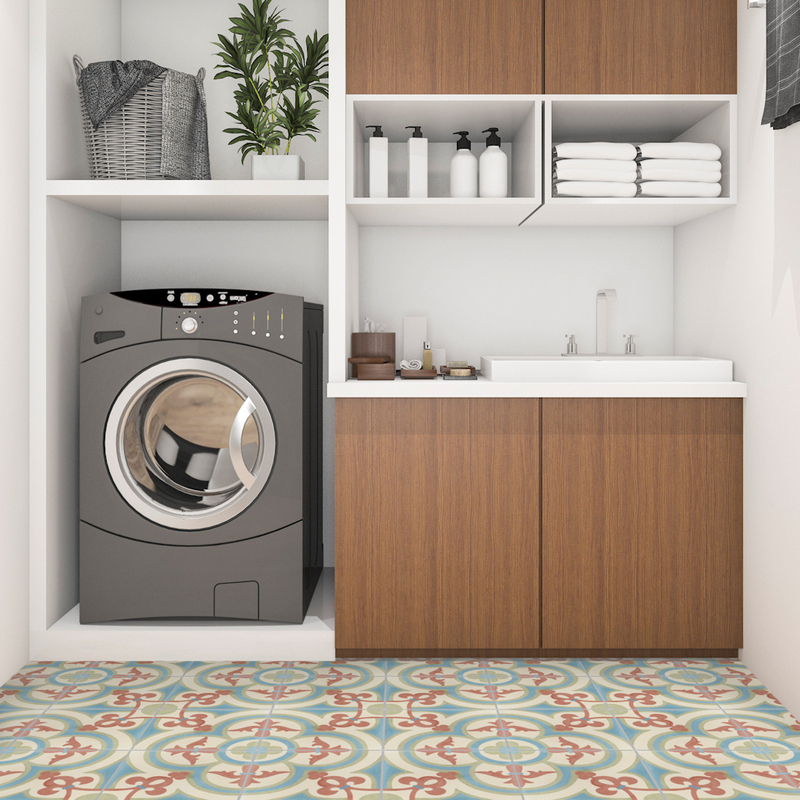 Or, make the tones completely your own with an easy-to-use cement tile design tool that customizes your color palette. These tiles are made to last: no printed-on color here. 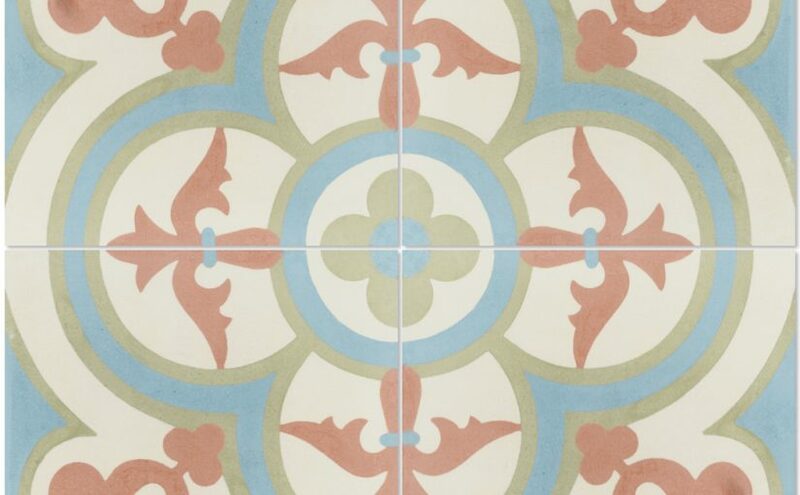 Villa Lagoon cement tiles are handcrafted in studios around the world where the design reflects the region. 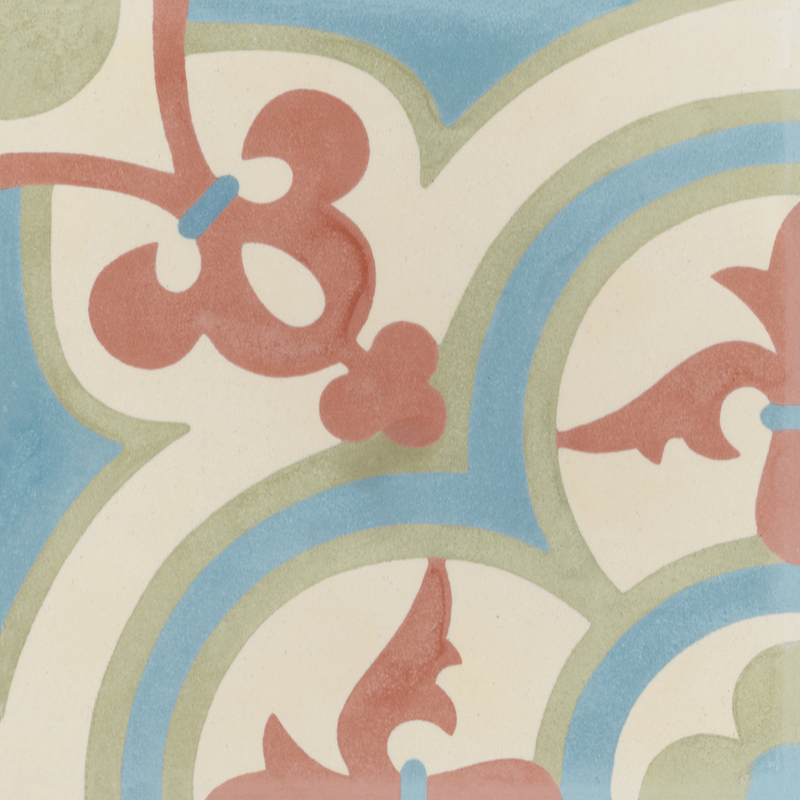 Similar to natural stone, each cement tile is unique with slight color variations, the sign of an artisan-made product. Installing cement tiles is similar to natural stone, with tighter grout lines and use of a sealant after the tiles are set. MSRP for the tiles is $16.77 per square foot. To purchase Caprice June cement tile and sealant factory-direct, or to learn more about the benefits of using cement tile, visit villalagoontile.com. Previous Previous post: Cement Tile: Not Just for the Floor Anymore!